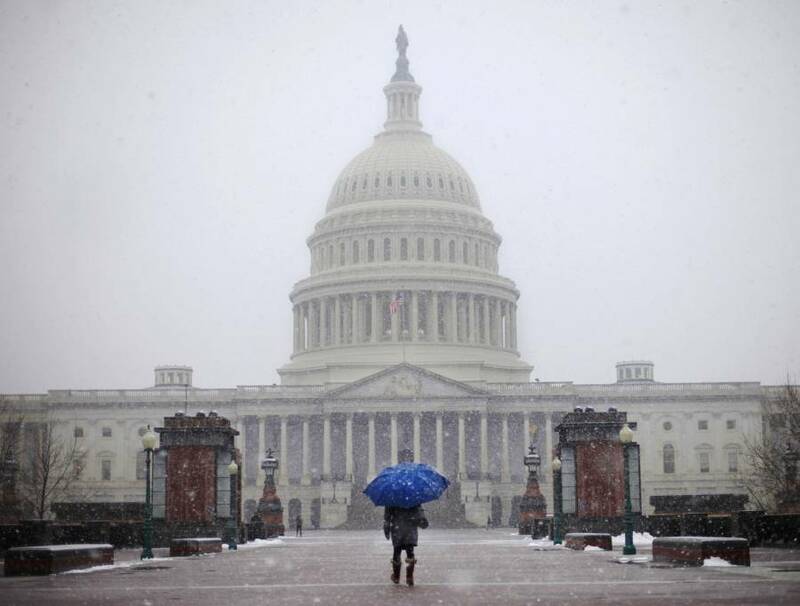 Snow falls around the US Capitol Building in Washington, Tuesday, Dec. 10, 2013. James Robison: In the face of what often appears to be “insanity ruling,” God is answering prayer. I wrote the following article nearly five years ago. Perhaps it was prophetic. I urged God’s people to turn to Him with broken hearts in repentance and in fervent prayer. I encouraged our church and national leaders to call for prayer for America to return to God, asking for His mercy and the wisdom that comes from above. Americans are foolishly being led by Judas goats as lambs to the slaughter — away from God’s wisdom and the protective hedge of His Word. Many Americans and national leaders have foolishly and blatantly rejected the wisdom that comes from God alone. The enemy of truth and freedom has come against our once-great nation like a flood. The border crisis again exemplifies the consequences of rejecting God and His Word. Elected leadership in Washington has proven to be beyond stupid — many have proven to be fools — always the result of rejecting God’s wisdom and changing His truth into a lie. The Bible clearly reveals what happens when the hedge of God’s truth is removed and the walls of protection are destroyed and the foundation crumbles. Chaos, ruin, pain, misery and death to all that is precious. Can you not see insanity ruling and many elected representatives incapable of leading? Aren’t you sick of the mindless blame game and foolish stump speeches leading us nowhere good? Well, hear this and hear it loud and clear: American leadership and all who can help correct our perilous course must fall on their faces before God. They must cry out for His mercy, forgiveness, cleansing, healing, and the wisdom He offers. If they fail, you will witness ALL HELL BREAK OUT AROUND THE WORLD AND EVEN HERE IN OUR GREAT NATION! Praying to a God Our Courts Won’t Even Let in Our Schools? Surely the challenges and ever-increasing crises we face illustrate the need for God’s grace and wisdom. But one might ask, how can leaders call for a prayer meeting to a God our courts have declared can’t even be mentioned in our schools, businesses, sporting events, or other public places? Why ask people to pray to a God that Congress and the courts have dismissed and even expelled from American life? I have personally been criticized for challenging Christians to stand up together as bold witnesses for God and for truth, resisting evil, being effective as salt and light, helping impact and correct our nation’s perilous course. I have been criticized for trying to inspire an end to the biggest church fight in history between Catholics and Protestants by calling all sides to repentance and true holiness and an intimate personal relationship with Christ. Believe me, there is room for massive repentance on the part of every person who professes to know God and believes relationship with God is more important than mere religion. And our God is big enough to heal any divide, including those between professing Christians. I will not stop speaking out and become silent because there is too much at stake when we foolishly reject the wisdom from above. As Dietrich Bonheoffer said, “Not to speak is to speak — not to act is to act.” Proverbs declares, “Wisdom shouts in the streets. She cries out in the public square. She calls to the crowds along the main street, to those gathered in front of the city gate…” But very few hear and heed. In our day wisdom has been rejected. As a result, the prince of the power of the air — and yes, also the power of the airwaves — has drowned out wisdom’s voice, ignored it or misrepresented it. That must change and must change soon. And it’s up to believers, church leaders, pastors, priests, evangelists, prophets begin to boldly release wisdom’s healing stream. Children of God must now rise up by first falling down on their knees in prayer and repentance and then standing up together as we have been commissioned to do. While standing together as bold witnesses, truly the shining city on a hill, professing Christians could overcome the prevailing darkness and release the transforming light of God’s truth. If those who profess to know Christ, believe in God as Father and Creator, would stand up together, we could vote out every incompetent member of Congress and every national leader. We could replace them with the kind of leaders Jethro advised Moses to select: Able men (and women) such as fear God. Those who understand the importance of living in the shadow and shelter of the Almighty. Men of truth — believing wisdom comes from God and His Word; hating covetousness. Leaders honest and honorable. We could impeach corrupt judges and justices. We could rid the House of every representative who openly mocks God and His Word, fails to understand the importance of faith, family and freedom, personal responsibility, and the Constitution. We should remove those who are so incompetent they can’t even balance a checkbook, a budget or make sane decisions. We could secure the borders, address every national ill, meet every challenge. We could stop building an even greater crisis in the name of compassion and in order to manipulate political advantage (which is exactly what is happening on the border). We could stop the nonsense, stop the insanity, stop the blatant rebellion, and return to God. Now is the time for our church and national leaders to do just as our forefathers and many of our Presidents did by calling for a solemn assembly to seek the mercy and wisdom God offers and do it now! I will continue calling for all true believers from every sectarian group, denomination, Catholic or Protestant, Democrat and Republican to sit down together at the table of reason — beginning as our Founders did on their knees in prayer seeking wisdom and direction from Divine Providence. Thank God we are beginning to miraculously see an answer to the prayers of concerned Christians. The enemy has clearly revealed his deceptive, divisive, destructive, deadly nature. Jesus said, “Satan is the father of lies and a murderer.” True believers, along with those who are fed up with foolishness and understand that true freedom has a foundation, are standing up. 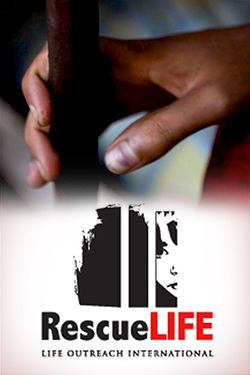 Many church and national leaders are calling for an immediate course correction. The stage is set for the next great spiritual awakening. Don’t stop praying and standing together in supernatural unity.